There are several ways to do these exercises. Please note that there is no right or wrong approach. 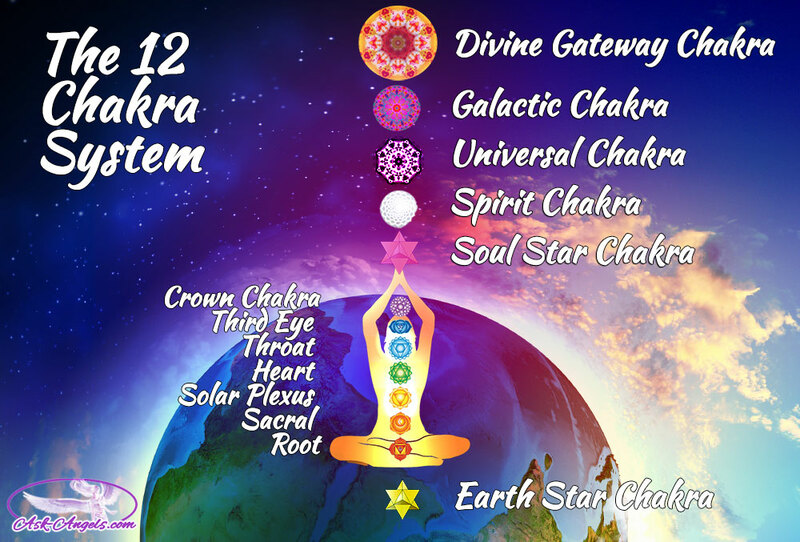 However activation of these chakras should not be taken lightly as this has lot to do with your life purpose and connection to the source. Once open these chakras will give you a lot of divine experiences and you should be open to it and respect the messages. Take your teacher or guru in consultation and proceed to be cautious. At any time if you feel aloof or disconnected ground yourself. Connect to your higher self with the HSZSN and DKM. (If you are Reiki level 1, you may just call higher self in meditation.) Now visualise all the chakras one by one in each colour. To open each of the chakras and heal and clear them, you can chose one chakra at a time and heal it for a week before moving to the next chakra. Light a candle of the chakra colour if possible and then invoke the angel by saying “Archangel ….please be here and help me heal this chakra“. Imagine yourself basking in the glory of this angel. Thank the energies and finish the meditation.